Thanks, Ren. It seems to be a match made in heaven. Thank you so much for the positive feedback! The team is fully commited in delivering every item in the roadmap! The Trivial Drive not installing… something went wrong, try again? Hi Andrey P, did you download the Aptoide-Dev? After taking this step you can see on the homepage of Aptoide-Dev the AppCoins Enabled bundle, with the Trivial Drive game inside, and you can download it from there. Let me know if you find any issues. Hi Vivek, thanks for reaching out. We are working Sylon, our bounty manager on Bitcointalk to understand what went wrong. Thanks for calling this to our attention. Hi Bruno, This money will be divided as follows: 20% Bootstrap strategies, 15% App Store Foundation, 15% Aptoide to support the protocol development until the App Store Foundation takes control of the project, and 10% Key Contributors for the influential blockchain key elements and contributors to the ICO idea development. Sorry, but why are you creating a new currency when there are already dozens of similar currencies? Hi Manuel, AppCoins is actually the first currency for the App Stores, which means that there aren’t any other cryptocurrencies that allow users, developers and device manufacturers to make financial transactions within app stores without intermediaries. Hi Ana! The pre-sale closes on Nov 15th. How to deal with iOS (Apple)? It won’t work for them. The Protocol is universal in the sense that it can be useful for any type of mobile platform (Android, iOS, etc). 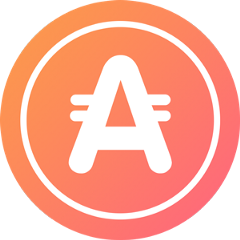 Althoug we know that iOS is a closed system and its adoption might not be as easy as it is for Android, in technical terms it does work and we believe it will benefit from the solution AppCoins presents.